How to Study reveals the study skills that all students need to know to be successful, whether the goal is landing a top scholarship, excelling in school, or preparing to return to school. This edition includes information on how to create an effective work environment, stand out in class, conduct research online, and much more. 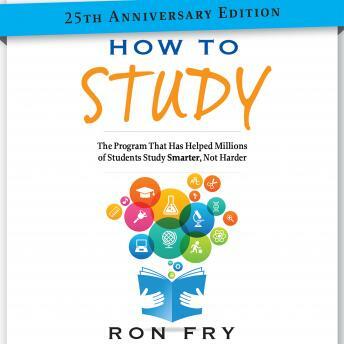 Fry also covers all the traditional elements of a winning study strategy, such as reading, writing, time management, memory, and test-taking skills. How to Study introduces a revolutionary study system, along with examples, that give students the edge in any learning environment. How to Study also: -- Prepares students of all ages to excel in their classes by developing effective study skills. -- Shows students, in a quick, easy-to-read style, the essential skills that can be applied outside the classroom and later in life. -- Includes study tips for teaching and studying with young children; advice for fighting mid-study fatigue and boredom; tips for in-class learning; and more.